As you can see below, we have an exciting winter talks programme lined up for 2018-19. One of the great benefits of becoming a Member is that entrance to the regular series of talks is free. Sumptuous teas are generously provided by a group from our front of house team, donations toward which are greatly appreciated. There are other benefits to Membership; follow the link here. Saturday 20 October, 2.30 pm at the Catholic Church Hall, Westbury, Sherborne. Doors open 2 pm. 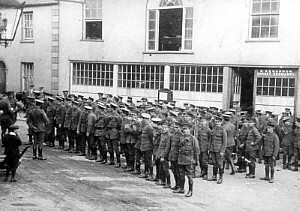 As we remember the centenary of the final year of the Great War, on this day one hundred years ago there were three weeks remaining until the signing of the Armistice; 170 local men and 220 Sherborne School boys would never return home and hundreds were dying from the Spanish flu pandemic. Chris Copson, Director of The Keep Military Museum, Dorchester, will consider the part played in the events during 1918 by our local Regiments from the collapse on the Somme to the huge gains of The Hundred Days which finally led to the Armistice on 11th November. Saturday 9 March, 2.30 pm at the Digby Memorial Hall, Digby Road, Sherborne. Doors open 2 pm. 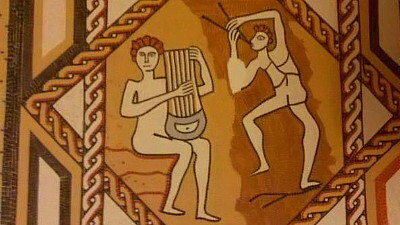 In 1836 a tessellated pavement depicting Apollo and Marsyas was uncovered at Lenthay - it is now reset into the dairy floor at Sherborne Castle. It was the coming of the railway two decades later which drew further attention to other Romano-British farmsteads located along the Yeo valley suggesting an element of continuity for the lower part of Sherborne. Steve Wallis, Senior Archaeologist, Dorset County Council, will focus, not on ‘underground’ archaeology but on what remains visible today and what this can tell us about the Roman army, what it was like to live in the area during the Roman period and how the influence of the Romans continued past the supposed end of the Empire in Britain. Tickets are £5 but free to members of Sherborne Museum. All of these talks will be held in the Digby Memorial Hall in Digby Road, Sherborne. Doors open at 1.30 pm and the talk will start promptly at 2.00pm. 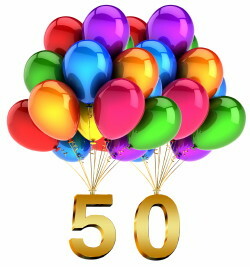 Our local museum was 50 on the 5th of May this year, and this talk will form part of our celebration as we launch the pamphlet ‘A History of Sherborne Museum’ by Tony Mifflin, which also contains contributions by President Katherine Barker and Curator Elisabeth Bletsoe. Barry Brock, abstracts editor and former Chair, will reveal how the idea of the pamphlet was realised and the printed matter put together, while Katherine and Elisabeth will invite you on a trip down memory lane with images provided by Graham Bendell who manages our photographic archive. This talk should fascinate and intrigue members and non-members alike, particularly if, like us, you love your local heritage. In 1540, John Leland wrote that Sherborne was ‘the best toun yn Dorsetshir’. 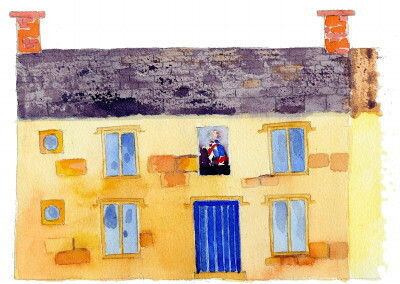 Speaker Barry Brock examines three very different Sherborne buildings and, where possible, the people who lived in them, to see what part they played in the history of the town. The first is Newland House, built on one of the Borough of Newland sites, brought into being by Bishop le Poore’s charter of 1227-8. The second is Lodbourne Hall at the end of South Street, once home to Robert Wilmott of the Sherborne Silk Mill, and recently converted into self-contained houses. The third is the Melbury Gallery, still known by many as ‘Denners’ and before that, as ‘Phillips & Son’ - an example of Victorian ingenuity. The Battle of Trafalgar witnessed both the defeat of Napoleon Bonaparte’s plans to invade Britain and the death of Admiral Lord Nelson. 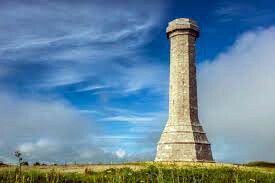 It was never going to be any ordinary battle and it quickly acquired a heightened reputation, one which was to be shared by three Dorset men; Henry Digby, Thomas Masterman Hardy and Charles Bullen, who all assisted in a victory which was to give Britain control of the oceans well into the twentieth century. Roger Cleverly will explore some of the practical aspects of the battle - the ships and their men. He has been collecting flintlock and edged weapons of the Napoleonic period for over twenty years and a small display will be mounted at the back of the hall. The risk of fire was inherent in the life of the early modern urban community and fire was a regular occurrence and scourge throughout the history of Sherborne town. George Tatham considers what factors encouraged outbreaks, what precautions the local authorities implemented, what fire-fighting equipment was available and the social and architectural consequences of fire damage. Before the days of a regular fire brigade, local people would assist (or not!) including the boys of Sherborne School who would rush out with buckets (and who would be regaled with brandy and water afterwards). 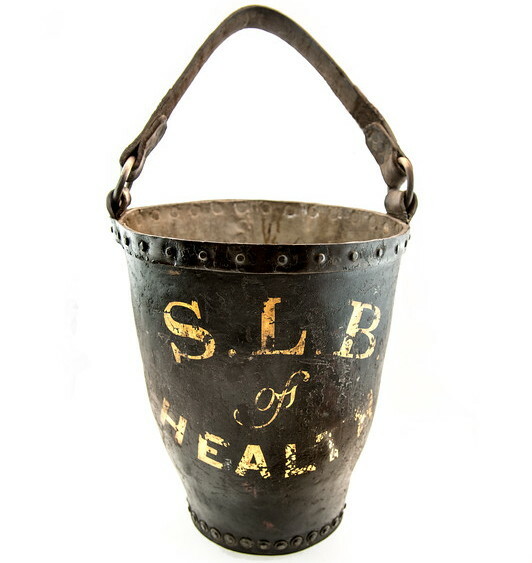 The illustration here is of a Sherborne Local Board of Health leather fire-bucket. Dr Helen Walter left university to pursue a theatre career, working for several years as Wardrobe Supervisor. This was to prompt her to combine her textile interests with the academic completion of her PhD in the History of Design at the Royal College of Art and the V&A. Having moved to the Sherborne area she now volunteers at Blandford Fashion Museum where she is much involved in collections management. 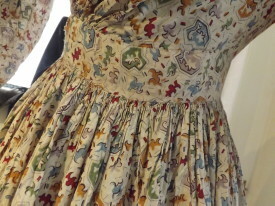 Her talk will concentrate on the problems relating to conservation, storage and display and the way that a small museum can manage and utilise their fashion collections. Our speaker will also be bringing items from the Blandford Handling Collection.